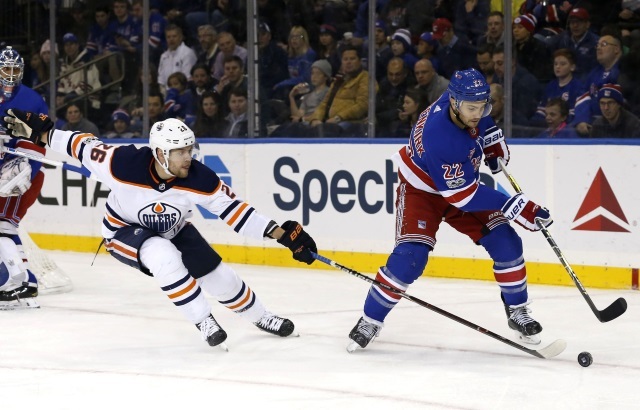 Larry Brooks of the NY Post: It hasn’t been a great year and a half of New York Rangers defenseman Kevin Shattenkirk. He feels he’s played better of late, which could help increase potential trade interest around the league. “I haven’t thought about the possibility too much, but I also don’t want to say that I’m numb to it,” said Shattenkirk, who was traded as a deadline rental from St. Louis to Washington two years ago. “Because of my past, I’m always aware of it, but I’m not worried about it, either. Shattenkirk has two years left on his deal at a $6.65 million salary cap hit with a modified no-trade clause – a 10-team no-trade list that was submitted last July. Chris Nichols of Nichols on Hockey: Elliotte Friedman was on Sportsnet 960 and was talking about the Edmonton Oilers, Jesse Puljujarvi and their 2019 first-round pick as they attempt to make the playoffs. Friedman has heard they are interested in trading Puljujarvi, that they aren’t, and that they don’t want to if they don’t have too. There are some within the Oilers who don’t want to give up on him too quickly, but they do want to make the playoffs this year.